Talking about F1: The F1 blog: 2016 F1 Betting Preview - Rosberg and Raikkonen where the value is? Many analyses post testing suggested however that Ferrari could be with, or nearly with, Mercedes; and therefore 5/1 for Sebastian Vettel to take the crown looks tempting. Particularly if Hamilton and Rosberg are in a close fight, as Seb could sneak between the squabbling pair who are busy taking points off each other. While 40/1 for Seb's team mate Kimi Raikkonen to take the title for himself is a very inviting medium-range punt. Yes we know about Kimi's recent struggles but the SF16-H may have finally the responsive front end that he craves, and he looked confident in the car in Barcelona. 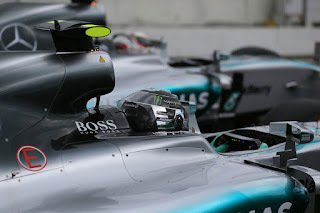 Testing though didn't give us much sense of there being a great deal of point in betting on anyone other than Mercedes or Ferrari for titles, and this too is reflected in the odds which go out dramatically at that point. If you fancy a long shot, then 100/1 on Valtteri Bottas is the most sensible. Testing suggested Williams will likely start the campaign as best of the rest, and there was some optimism emanating from the squad. For the likes of Fernando Alonso and Daniel Ricciardo it looks even in a generous estimate that they'll cede too much ground in the championship race as their cars are getting up to speed early in the year. There also are interesting head-to-head odds available for which team mate finishes higher in the world championship in each of the 11 squads. And with the same considerations as above 4/1 for Kimi to get ahead of Seb in the final table looks generous. Otherwise odds on two of the English pilots to win out over their respective team mates - Jenson Button at 8/5 and Jolyon Palmer at 12/5 - appear among the better value. An intriguing one is at Manor, as the probability is that team won't be a regular scorer, therefore whichever driver has the highest single placing will likely decide who is ahead in the table (e.g. one P12 would beat any number of P13s). It therefore is a measure that could be decided in large part by chance than who generally is on top, possibly by a solitary good placing on a day of high attrition. 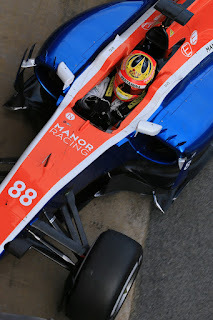 With this, 8/5 on Rio Haryanto to get ahead of Pascal Wehrlein looks pretty good value. All odds quoted in this article were accurate on the NetBet website at 2000 GMT on Friday 11 March 2016. It’s my pleasure to discuss on sports betting within this content as I believe many of us desire to invest in sports correctly. Zcode sports betting system is the secret that top bettors use & ever since I read the article on how several people are using & talking about it; I gave it a try. This article takes you into the knowledge of sports betting investment and how to increase your stakes on every sports game (Soccer, NHL, NBA, Horse racing, etc.)! I recommend you read it thru http://lotterynewsandbettingtips.com/the-authentic-zcode-review-zcode-scam-verification-zcode-testimonial/ - You also get a FREE powerful sports investment book there. With zcode I was able to raise my initial $200 to around $38,000 in just 6 months betting correctly - following top winning tips; and am still advancing. Zcode is doing it for me & my family members; hence am endorsing it to every sports lover too…Thank me later!